Whale Watching Tours run January thru April: Wed, Fri, Sun. 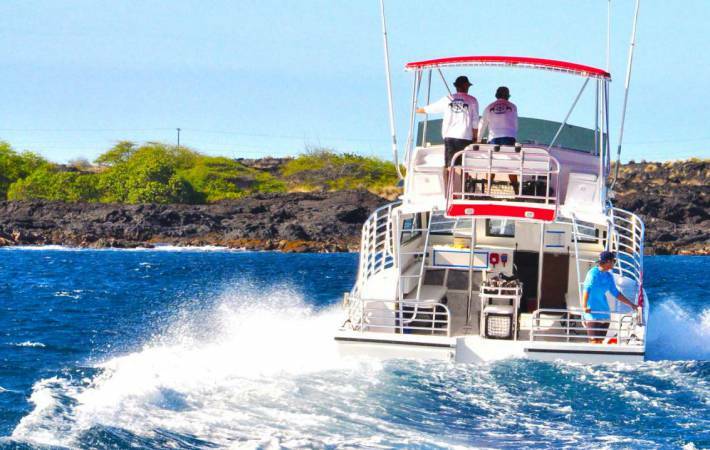 You and your family will enjoy yourselves in comfort and safety aboard our brand new boat the Maheli Heli as we travel up the grand Kona coast and seek to spend some precious time with the most amazing mammals on the planet, the Humpback whales of Kona. 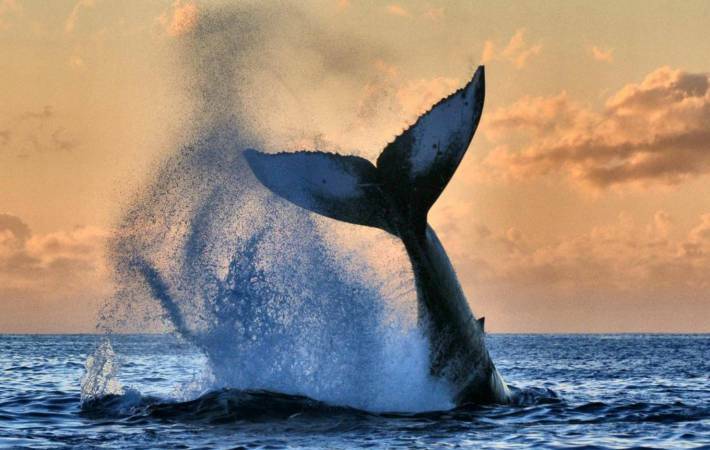 These extraordinary mammals migrate seasonally in the grand waters off of the Big Island of Hawaii. Do not miss the opportunity to view these majestic creatures as they pass thru our waters on their journey north. Offshore of Kailua-Kona, Hawaii Big Island, watch whales blow, breech, tail slap and otherwise amaze you at their grace, beauty and enormity! 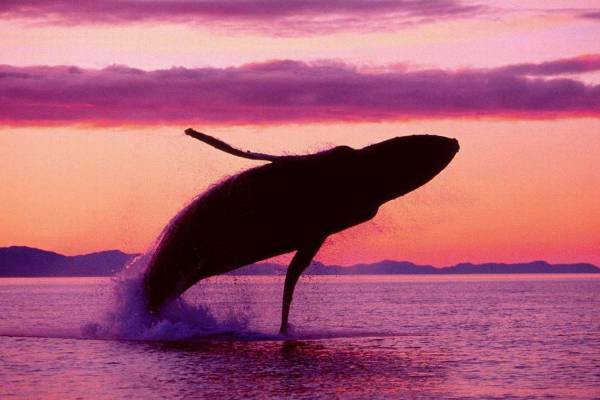 Humpback whales travel from Alaska to Hawaii every winter to calve and mate. 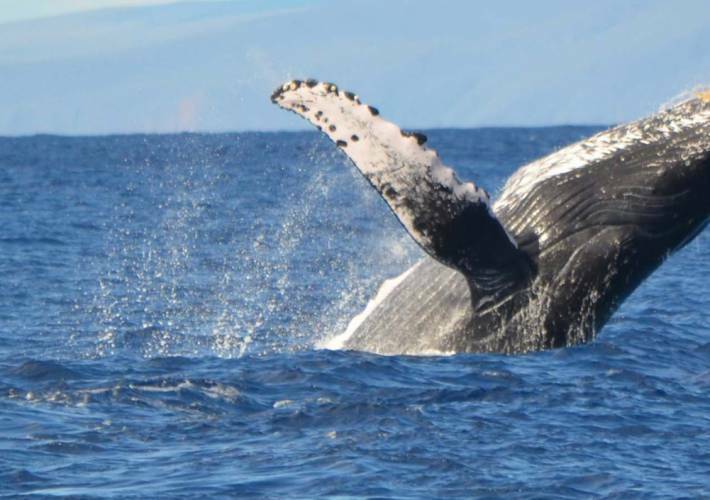 Enjoy a special encounter with these amazing creatures on our Kona Whale Watch Tour. Manta Adventures practices and promotes and the SENSE program for Whale adventure activities. Please see the guidelines below for further understanding of these guidelines and your adventures tour expectation. Special audio equipment to hear the whales communicate underwater! Whale Watching in Hawaii Makes SENSE! 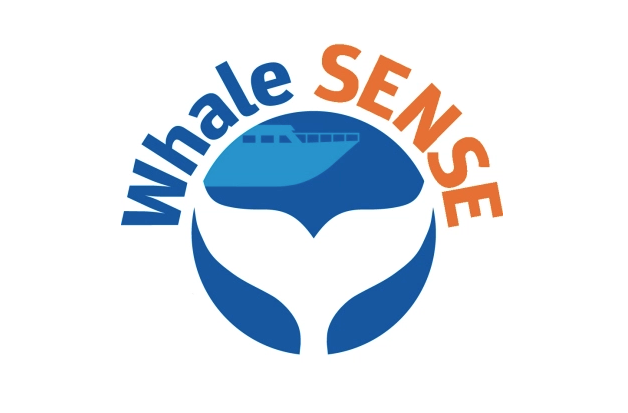 Whale SENSE is a voluntary education and recognition program offered to commercial whale watching companies.